Success stories of great entrepreneurs are truly inspiring, aren’t they? Even better when they are India, because it infuses a spark and a ray of hope within us, that entrepreneurial success is definitely possible in the land of Babus. Here are out top 5 Indian entrepreneurs who fuel our inspiration. Liquor Baron (Chairman, United Breweries Group which by the way is the 2nd largest drinks conglomerate in the world), Rajya Sabha Member of Parliament, Owner of a Formula One team (Force India), an Indian Premier League Team (Royal Challengers), Football Clubs East Bengal FC and Mohun Bagan FC, Owner of one of the fastest growing Commercial Airlines in India (Kingfisher Airlines), Owner of a Newspaper in California, and worth $1.4 billion according to Forbes.com. If you can think of a better entrepreneur, let us know! 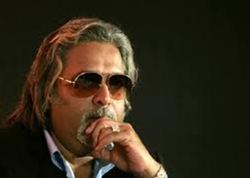 We are in awe of the diverse businesses that Mallya has invested and founded. We highly recommend that you check out his collection here. Here’s a fact that may surprise you – Narayana Murthy co-founded Infosys in 1981, with a start-up capital of $250! And what’s even more amusing is that he did not have the money. Narayana Murthy borrowed the money from Sudha Murthy, his wife. Talk about humble beginnings! 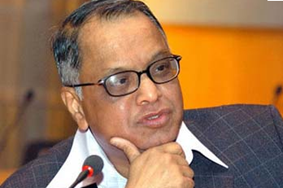 Narayana Murthy has also been awarded the Padma Vibhushan (2008) and Padma Shri (2000) awards. And if that was not enough, he has also been recognised on the international scale by being listed under ‘Global Tech Influentials’ by TIME magazine. We think this sort of inspiration is sure to give goose bumps to any budding entrepreneur. 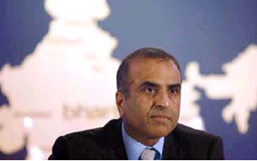 A true first generation entrepreneur, Sunil Mittal has been awarded the Padma Bhushan and has a net worth in excess of $8 billion. He is the founder and chairman of the Bharti Group which owns businesses ranging from telecom (Airtel) to insurance (Bharti AXA General Insurance) to Fresh Foods (FieldFresh Foods Pvt Ltd). Sunil Mittal borrowed money from his father in 1976 when he was 18, and started manufacturing crankshafts from motorcycles. He has never looked back since then, dwelling into manufacturing or trading of bicycle parts, portable generators, push button phones, fax machines, telecom services, retailing and much more. We call this an epic journey, from which we can all take inspiration from. We call Sabeer Bhatia an inspirational entrepreneur because he has risen from scratch and used his education to become one of the most successful Indian entrepreneurs. After finishing schooling, Bhatia studied at Birla Institute of Technology and Science (BITS) after which he moved to California to study at the California Institute of Technology. 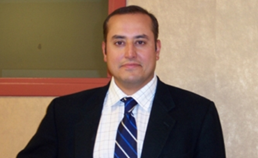 Continuing on his quest for higher education, Bhatia went on to study at Stanford University. It is after this long journey that Bhatia worked with Jack Smith and co-founded Hotmail.com, later sold to Microsoft for $700 million! We love taking inspiration from entrepreneurs who are pioneers, don’t we? Well Captain G.R. Gopinath is just that. He pioneered the low-cost air travel industry in India when he founded Air Deccan in 2003. It later merged with Kingfisher Airlines. His goal was to make air travel a mode of travel for the common man in India. And we think he has surely paved the way for that to happen. Did you know that Captain G.R. 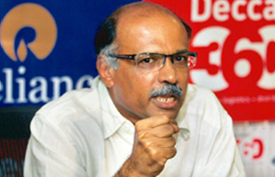 Gopinath is a graduate of the prestigious National Defence Academy? This entrepreneur has also served the Indian Army! He has also published his own book, titled, Simply Fly: A Deccan Odyssey. Are you charged up already to plan your next big entrepreneurial venture? Well we won’t blame you because after reading about these great Indian entrepreneurs, we feel inspired too! Great words of wisdom and inspiration from great entrepreneurs. It is truly a good read and inspiring as well.